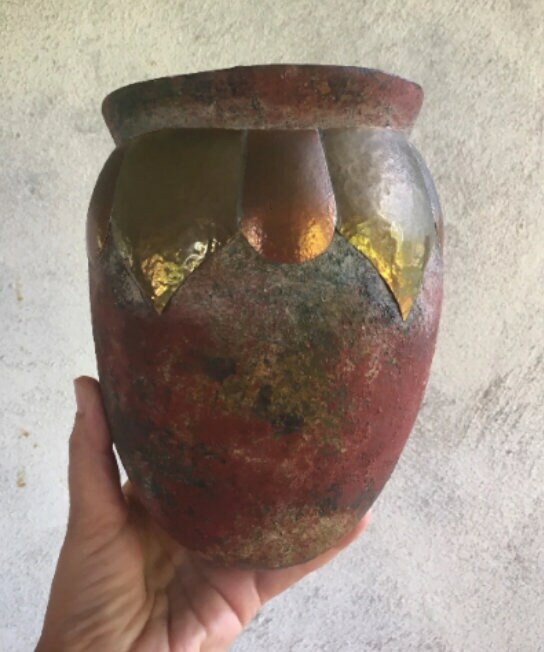 This piece of Mexican pottery is so unique. 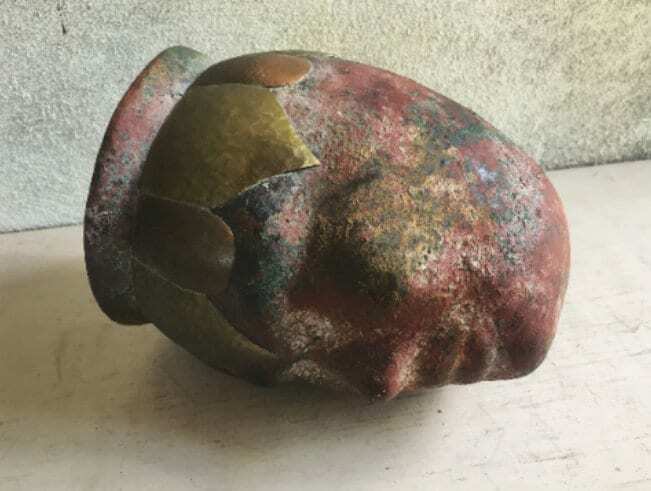 First off, the redware (terra cotta) clay that looks like it's been sponged with green and cream, creates such a beautiful primitive distressed look. 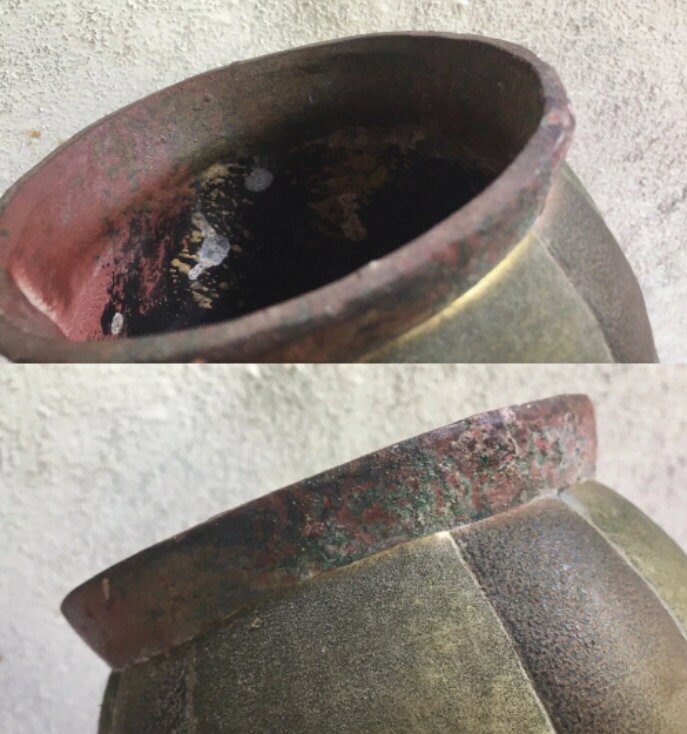 Then the brass and copper trim along the top is a great contrast to the clay. And the shape, which is a woman's head with facial features. 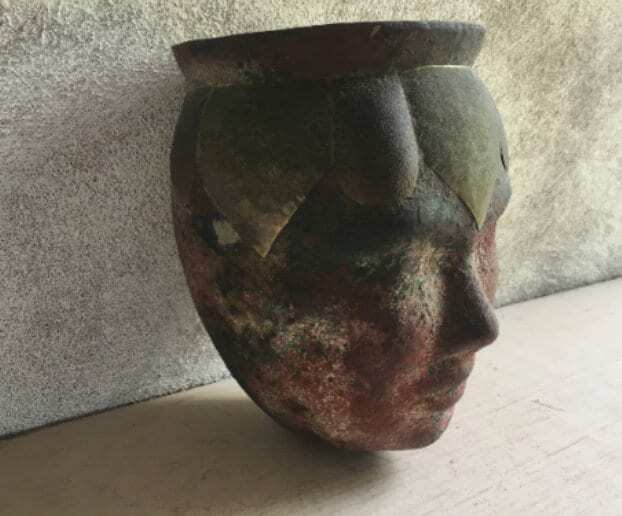 Finally, this piece is like a vessel or planter yet requires some sort of holder to display, and wouldn't it look great with a succulent coming out the top. If you do plant something in it, you'll need to place pebbles at the bottom for drainage and be aware that any moisture will eventually erode and damage unglazed redware over time. The piece measures about 8" long and the diameter of the opening is just under 5". There was a chip along this opening, which I restored--I've taken close up shots in Photo 10. I do not presently have an iron or other stand on which to place the pot, but I will be on the look out for one and will update if I find one before this sells. 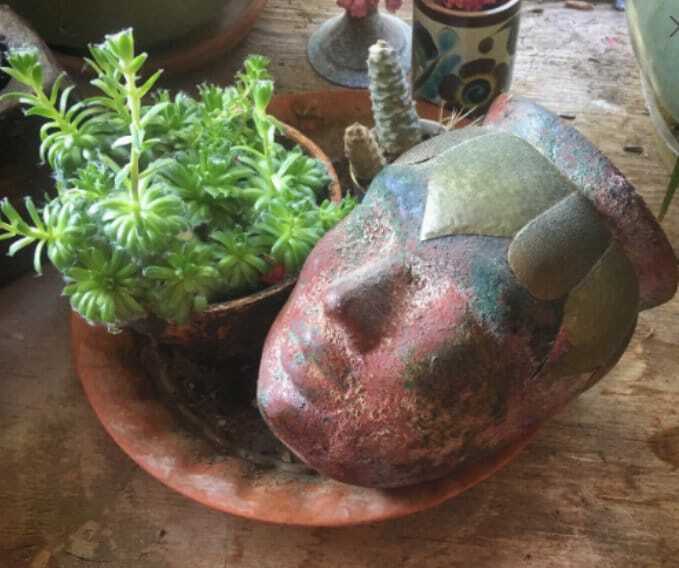 A wonderful piece for the lover of unusual Mexican pottery.